The Department of Computer Science (http://cs.usc.edu) at the USC Viterbi School of Engineering (https://viterbischool.usc.edu/) is in a period of significant and sustained faculty growth. We have multiple openings for tenure-track positions in all areas and at all levels of seniority. The USC Viterbi School is committed to increasing the diversity of its faculty and welcomes applications from women, underrepresented groups, veterans, and individuals with disabilities. We are interested in exceptional candidates at all levels. We expect all candidates to have a strong commitment to research, doctoral student mentoring, and teaching at the undergraduate and graduate levels. All applicants must have earned a doctorate in Computer Science or a closely related field by the date of appointment. Applicants should submit their applications online at USC Careers. Applications must include a cover letter indicating the applicant’s area of specialization, a detailed curriculum vitae, a statement on current and future research directions, a teaching statement, and names of at least three professional references. Applicants are encouraged to include a succinct statement on fostering an environment of diversity and inclusion. Applications should be submitted by December 2, 2018. Applications received after this deadline may not be considered. The USC Viterbi School of Engineering is among the top tier engineering schools in the world. It counts 189 full-time, tenure-track faculty members, and it is home to the Information Sciences Institute, two National Science Foundation Engineering Research Centers, a Department of Energy EFRC (Energy Frontiers Research Center), and the Department of Homeland Security’s first University Center of Excellence, CREATE. The school is affiliated with the Alfred E. Mann Institute for Biomedical Engineering, the Institute for Creative Technologies and the USC Stevens Center for Innovation. Research expenditures typically exceed $200 million annually. With 44 tenure-track, 31 research faculty, and 19 teaching faculty, the USC Department of Computer Science is one of the nation’s leading centers of research and education in the field. 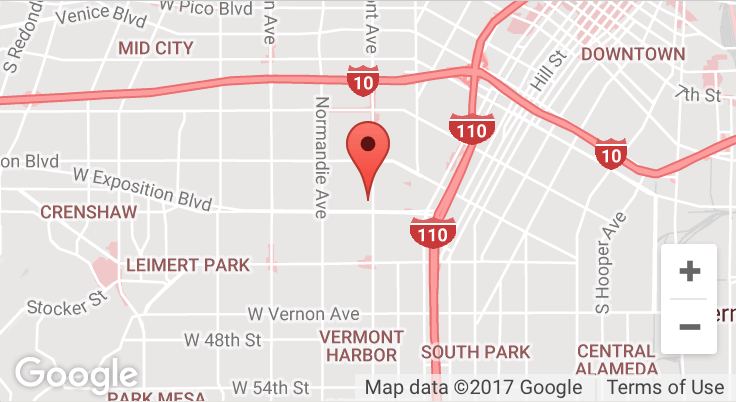 The Department of Computer Science (http://cs.usc.edu) at the USC Viterbi School of Engineering (https://viterbischool.usc.edu/) seeks a candidate for a teaching position (Lecturer) to teach undergraduate and graduate courses. This is a full time, benefits eligible faculty position on the non-tenure track. The USC Viterbi School is committed to increasing the diversity of its faculty and welcomes applications from women, persons from underrepresented minority groups, veterans, and individuals with disabilities. We are interested in exceptional candidates at all levels. Competitive candidates will have the training and experience necessary to teach effectively in a highly-ranked Computer Science department that advances undergraduate students through an accredited BS degree program and graduate students enrolled in MS and PhD programs. While we are interested in candidates with backgrounds in all areas of Computer Science, we are particularly interested in candidates with expertise in Algorithms, Artificial Intelligence, Machine Learning, Databases, Computer Games, Programming Languages, Networks/Systems, Software Engineering, Visualization, User Interfaces, and Data Science. Relevant industry experience is valued for candidates interested in teaching games-related courses. This is primarily a teaching position; all candidates are expected to have a strong commitment to teaching. Lecturer will spend the majority of its time on teaching and teaching-related duties with reduced obligation for research and University service. Qualified candidates should have a doctoral degree in Computer Science (or equivalent) by the date of appointment. Salary and benefits are competitive. While we seek applications at the level of Lecturer, in exceptional cases, applicants with longer teaching experience may also be considered for a commensurate position (e.g., Senior Lecturer). Applications must include a cover letter, a detailed curriculum vitae, a teaching statement, and names of at least three professional references, at least two of whom must be familiar with, and able to comment on, the applicant’s teaching experience. Applicants may also include a research statement. Applications should be submitted by December 2, 2018. Applications received after this deadline may not be considered.